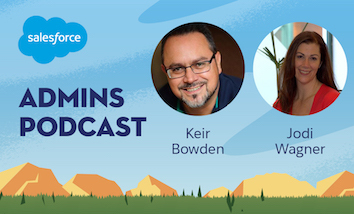 Today on the Salesforce Admins Podcast we’re coming to you live, again, from the Salesforce London World Tour. This time, we’ve got Gemma Emmett, a Solution Architect at Bluewolf and Golden Hoodie winner. More about this London Special episode: what an Architect focuses on and the path to becoming one, how you can adopt a future-oriented mindset, and the birth of #LadiesBeArchitects. 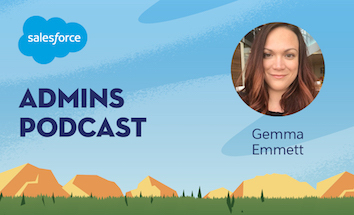 You should subscribe for the full episode, but here are a few takeaways from our conversation with Gemma Emmett. The perfect mix of IT and business. “If you’d asked me when I was about five, I would’ve said that I was going to be an author and that I was going to write stories. I was always writing stories, and I was always bringing them home for my mom and dad to read,” Gemma says, “but if you’d asked me when I was about 16 I would’ve said I was going to be a translator,” but by the time she turned 18 she knew she was going to be in IT. However, Gemma didn’t want to go down the purely coding or purely technical route, so when the time came she decided to study a mixture of business and IT. That choice ended up working out, and today she’s a Delivery Lead at Bluewolf, which means that when they implement Salesforce for customers she fills the role of the Architect, making sure that everything that they build meets the customer’s requirements while fully understanding the advantages and disadvantages of the solution they’ve chosen to implement. 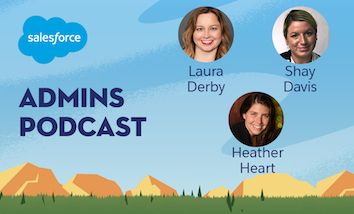 Everything you need to know about Salesforce Architects. The beginning of the #LadiesBeArchitects movement. “I started off as an Admin,” Gemma says, but got more and more interested in the broader systems involved that led her towards becoming an Architect. This interest in the broader context of things also was the genesis of the movement she started, #LadiesBeArchitects. “I started #LadiesBeArchitects after I started working towards the designer certifications,” Gemma says, “and I learned so much that I wanted to keep going.” As she moved her way through the exams, she started blogging to chronicle her experience and help others, “I found other people’s blogs quite helpful, but there weren’t enough resources online to help me get over the hump.” She was using a wide variety of resources spread out all over the internet, and so she decided to consolidate her study notes into something other people could use. “#LadiesBeArchitects was born out of a desire to have other people to study with,” Gemma says. While the Architect Trailblazer Success Community was useful, she was interested in bringing people together to have conversations and study together. “I learn better from actually listening to somebody,” she says, and the interactivity is key for her to be able to process what she’s learning. 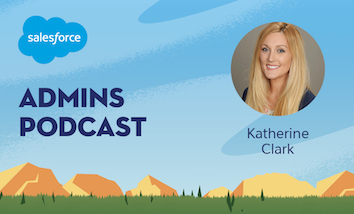 The community quadrupled in only three months, partially because Gemma started working closely with the head of the Architect program at Salesforce about how to diversify who gets certified and help make that happen.